Penny S. Pritzker ’81, former U.S. secretary of Commerce and past Harvard Overseer, and Carolyn A. 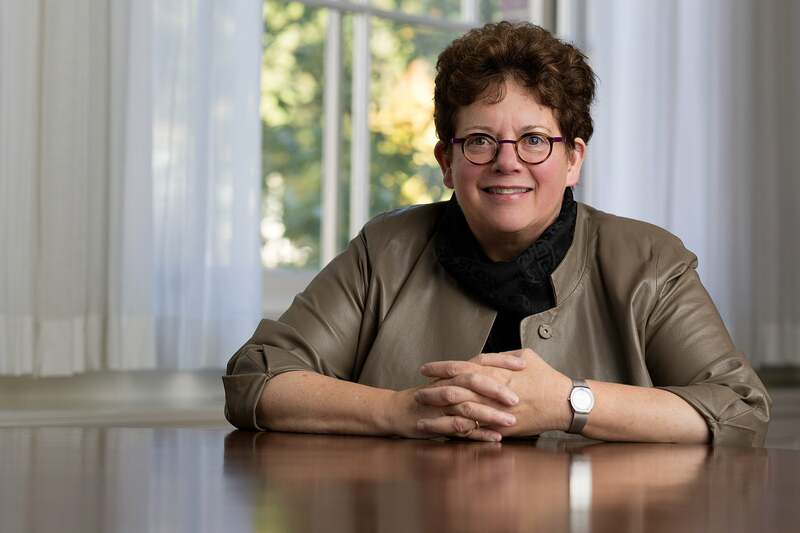 “Biddy” Martin, president of Amherst College and former chancellor of the University of Wisconsin-Madison, will become the newest members of the Harvard Corporation in July. In accordance with Harvard’s charter, they were elected today by the President and Fellows, with the consent of the Board of Overseers. They will fill vacancies created as Boston business executive Joseph J. O’Donnell ’67, M.B.A. ’71, completes his Corporation service, and as President Drew Faust steps down from the Corporation and Lawrence S. Bacow, J.D./M.P.P. ’76, Ph.D. ’78, a fellow since 2011, assumes the presidency. 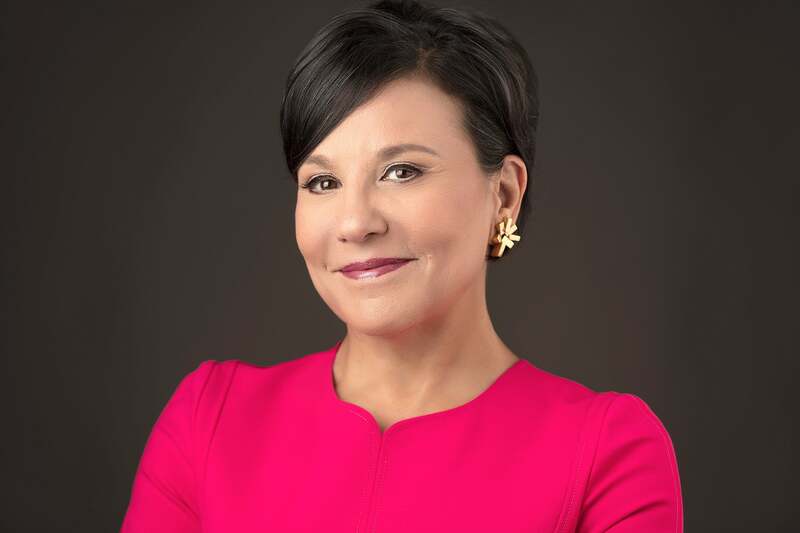 Pritzker’s career of leadership and service in business, government, education, and the nonprofit world spans more than three decades. As secretary of commerce from 2013 to 2017, she was a key member of the administration’s economic team, guiding efforts to promote international trade, to spur investment from abroad in the U.S., to foster regional innovation ecosystems and strengthen digital policy, and to pursue commercial diplomacy as an important element of U.S. foreign policy. Before serving in the federal government, Pritzker founded and ran a wide array of businesses in the real estate, hospitality, senior living, and financial services industries. She was also a member of President Barack Obama’s Council on Jobs and Competitiveness and his Economic Recovery Advisory Board. Now having returned to the private sector, she is founder and chair of the global investment firm PSP Partners and its affiliates, Pritzker Realty Group, PSP Capital, and PSP Growth. An experienced trustee, she has served in such varied roles as chair of the board of the Museum of Contemporary Art, Chicago, as founder and advisory board chair of Skills for America’s Future, as a trustee of Stanford University, and as current chair of the board of the Carnegie Endowment for International Peace. She is a past member of the Chicago Board of Education and past chair of the Chicago Public Education Fund. Her civic activities have been recognized with the Woodrow Wilson Award for Public Service, as well as the Harry S. Truman Award from the American Association of Community Colleges. Pritzker has a long record of engagement with the University. Among other roles, she has been a member of the Board of Overseers, a founding member of the Corporation Committee on Facilities and Capital Planning, an adviser on Allston planning, a member of visiting committees for the Art Museums, the College, the Graduate School of Design, and the School of Education, and a prominent figure in Alumni Affairs and Development. In addition to her bachelor’s degree from Harvard, Pritzker holds both a J.D. and an M.B.A. from Stanford University. She lives in Chicago with her husband, Dr. Bryan Traubert. The couple are co-founders of the Pritzker Traubert Foundation, which works to improve economic opportunity and prosperity for low-income families in Chicago. Martin is among the most widely respected and broadly experienced leaders in American higher education. Over the past two decades, she has served as provost of Cornell University, a private research university; as chancellor of the University of Wisconsin-Madison, a public research university; and now as president of Amherst College, a premier liberal arts college. As president of Amherst since 2011, she has been a strong champion of liberal arts education from the humanities to the sciences, a vigorous exponent of expanded college access through need-based financial aid, a powerful voice for diversity and inclusion as well as free inquiry and expression, and a leader in efforts to enhance both academic and residential life. Earlier, as chancellor of UW-Madison from 2008 through 2011, she introduced the Madison Initiative for Undergraduates, designed to improve undergraduate education, strengthen student services, and increase need-based aid. She also worked to sustain the flow of research funds to the university, and to secure greater operating flexibility and autonomy for the flagship campus of the university system. From 2000 to 2008, as Cornell’s longest-serving provost, she oversaw development of a new life sciences building, elevated the stature of humanities research and education, implemented a major financial aid initiative that replaced need-based loans with grants, and developed the university’s priorities for a major capital campaign. A distinguished scholar of German studies and women’s studies, she served on the faculty at Cornell for more than two decades, starting in 1985. She was chair of Cornell’s German Department and senior associate dean of its College of Arts and Sciences before becoming provost. A recipient of distinguished teaching awards at both UW-Madison and Cornell, she holds honorary degrees from both the College of William & Mary and the University of North Carolina–Chapel Hill. Raised in Campbell County, Va., outside Lynchburg, she was the valedictorian at Brookville High School, where she also starred on the basketball team. She received her bachelor’s degree from the College of William & Mary, a master’s degree from Middlebury College’s program at the Johannes Gutenberg-Universität in Mainz, Germany, and a Ph.D. in German literature from UW-Madison. Known formally as the President and Fellows of Harvard College, the Harvard Corporation is the oldest corporation in the Western Hemisphere. Chartered in 1650, the Corporation exercises fiduciary responsibility with regard to the University’s academic, financial, and physical resources and its overall well-being. With 13 members, the Corporation is one of Harvard’s two governing boards; members of the other board, the Board of Overseers, are elected by holders of Harvard degrees. Nominations and advice regarding future Corporation appointments may be sent in confidence to corporationsearch@harvard.edu. Choon Fong Shih (from left), Harold Luft, Beth Adelson, and Guido Goldman are the recipients of Harvard’s GSAS Centennial Medal.